We’d love your help. 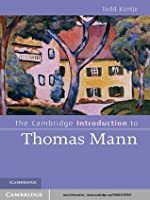 Let us know what’s wrong with this preview of The Cambridge Introduction to Thomas Mann by Todd Curtis Kontje. 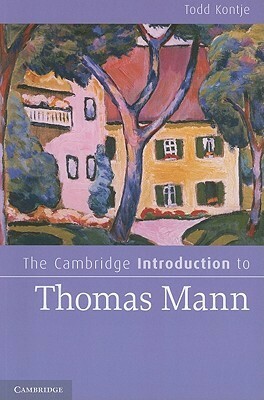 To ask other readers questions about The Cambridge Introduction to Thomas Mann, please sign up. Todd Curtis Kontje's 2011 The Cambridge Introduction to Thomas Mann does in all ways and more than adequately keep its promise, providing readers and especially undegraduate college and university students with an extensive, but not overly involved and thus also never too intensive chronological English language introduction to Thomas Mann, his life and historical times (including his many family squabbles, his personal and political conflicts with his brother Heinrich and that Thoms Mann also d Todd Curtis Kontje's 2011 The Cambridge Introduction to Thomas Mann does in all ways and more than adequately keep its promise, providing readers and especially undegraduate college and university students with an extensive, but not overly involved and thus also never too intensive chronological English language introduction to Thomas Mann, his life and historical times (including his many family squabbles, his personal and political conflicts with his brother Heinrich and that Thoms Mann also did, in fact, play a major game of rather obvious favouritism with his children, actually seemingly and openly, publicly denigrating, even despising some of them, whilst almost glorifying and sanctifying others), as well as an informed but not too excessively detailed and thankfully also not uncritical appreciation of Mann's substantial literary oeuvre, his undeniable genius and literary achievements (Thomas Mann won the Nobel Prize in Literature for a purpose and the novel for which he specifically won the award, his Buddenbrooks, is truly one of the absolute greatest family sagas of all times and in any language). Having only read Mann's Death in Venice, this will be an interesting experiment in reading about the author before reading much of their work. This interesting literary biography of Mann provides a comprehensive overview of his life's work in a relatively digestible format.